Sop Buntut, Sup Buntut, Indonesian Oxtail Soup. 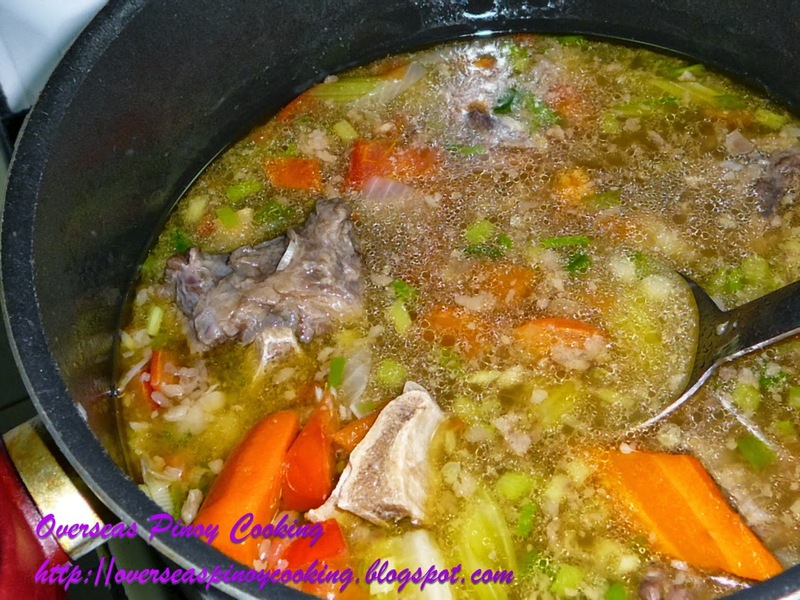 These oxtail soup stew is a very popular dish in Indonesia, Singapore and Malaysia. Oxtail slices are boiled till the meat nearly fall off from the bones with clove and nutmeg, not common spice in Pinoy cooking. Margarine is used to sauté the aromatic ingredients which gives a yellowish tint to the broth, The combination of margarine, clove and nutmeg gives a distinct aroma and flavour to this soup stew. The kamote or sweet potato makes the dish sweetish and adds more texture to the already gelatinous broth. It is garnished with diced tomato, chopped spring onion and fried garlic. I really miss this dish it was one of my favorite Indonesian or Malaysian food during my many years of working in Batam and Singapore. Here is my version, I have reduced the amount of spices and tweaked out some exotic ingredients to make it more of a Pinoy version. 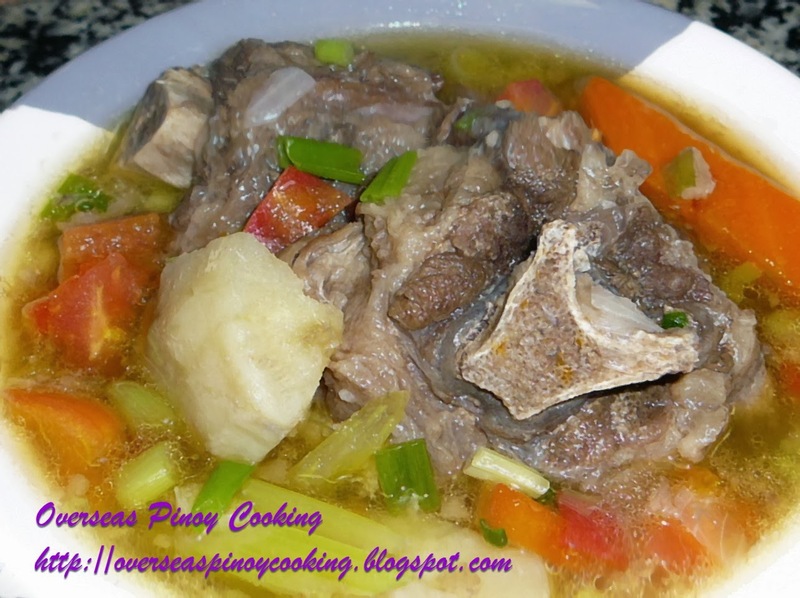 Wash oxtail thoroughly and remove all traces of blood. Put in a large pot, add enough water to cover and let boil for 2 to 3 minutes. Drain and discard first boiled liquid, remove all traces of scum. Return oxtail on same pot and add fresh water up to 1/2 full. Add the whole onion, ginger, peppercorns and cloves bring to a boil and simmer for 1 1/2 to 2 hours (or pressure cook for 25 to 30 minutes) or until oxtail are tender. Removing scum that rises and add more water if required. Heat margarine in a separate frying pan, sauté garlic and onion, now add sautéed garlic and onion to the steaming pot of oxtail. 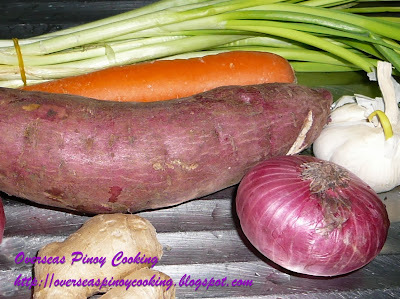 Add inn nutmeg, sweet potato, carrot and celery stalks simmer for 3 to 5 minutes or until tender. Season with salt and pepper to taste. Garnish with spring onion, chopped tomatoes and fried garlic. Serve at once. 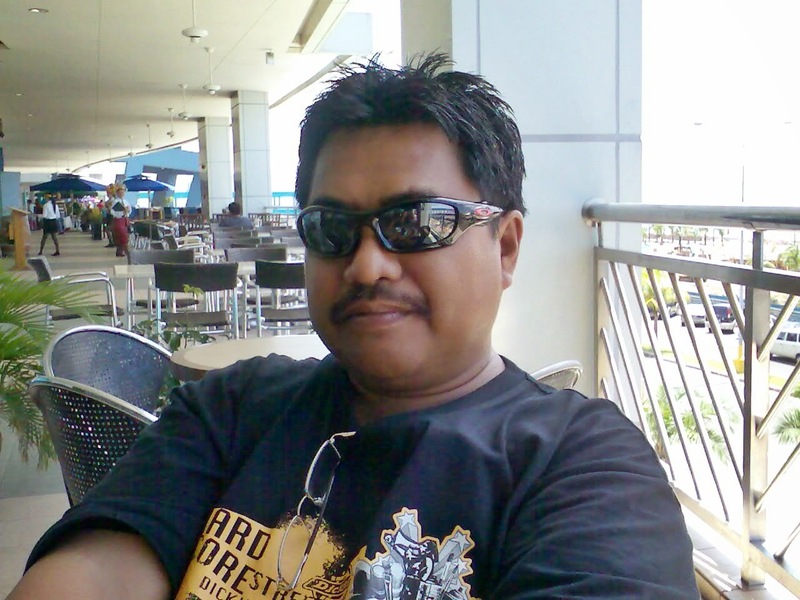 My husband is not Filipino. However, he loves anything bulalo-like style of soup! This looks interesting and will try! Thanks for sharing! More soup recipe please!